Offered here is a nice pairing of two of Oscar Robertson’s Missouri Valley Conference medallions from 1958 and 1960. 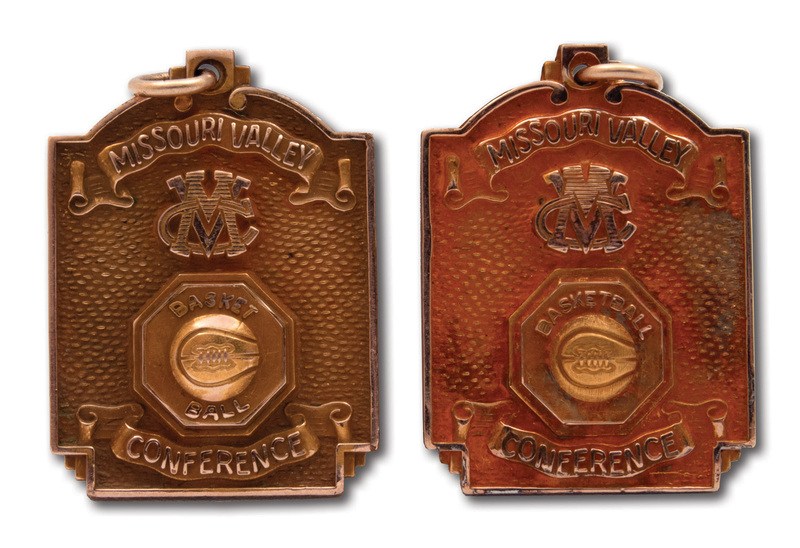 Measuring 2.5 cm wide and 3 cm tall and weighing 10 grams, both pieces have identical obverses (aside from “BASKET” and “BALL” separated on the earlier version) consisting of a ribbon bearing the title “MISSOURI VALLEY CONFERENCE” surrounding a basketball and the conference logo. Both are mounted with a suspension loop. The first one was awarded to The Big O after he was named “All Conference” in the 1958 MVC Tournament for the University of Cincinnati and has “ALL CONF 1958” engraved on the reverse. 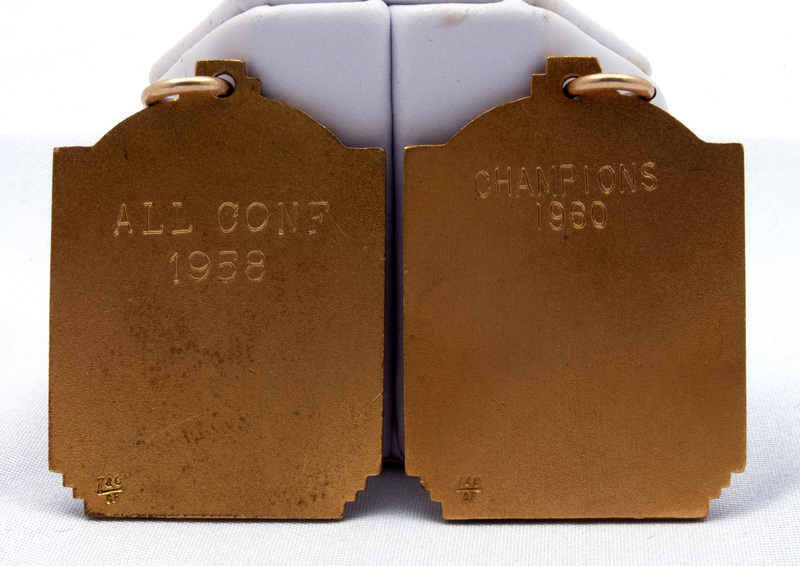 The second piece was awarded to Robertson after he and his Bearcats teammates won the MVC Conference in 1960 and is inscribed “CHAMPIONS 1960” on the reverse. Both medallions appear to be gold-filled based on the reverse stampings (can’t make out the maker’s initials) and remain in very fine condition with the 1960 showing a more toning than the 1958. Includes LOA from Oscar Robertson.